Making compost is a great way to reduce your household waste and improve your soil quality at the same time. 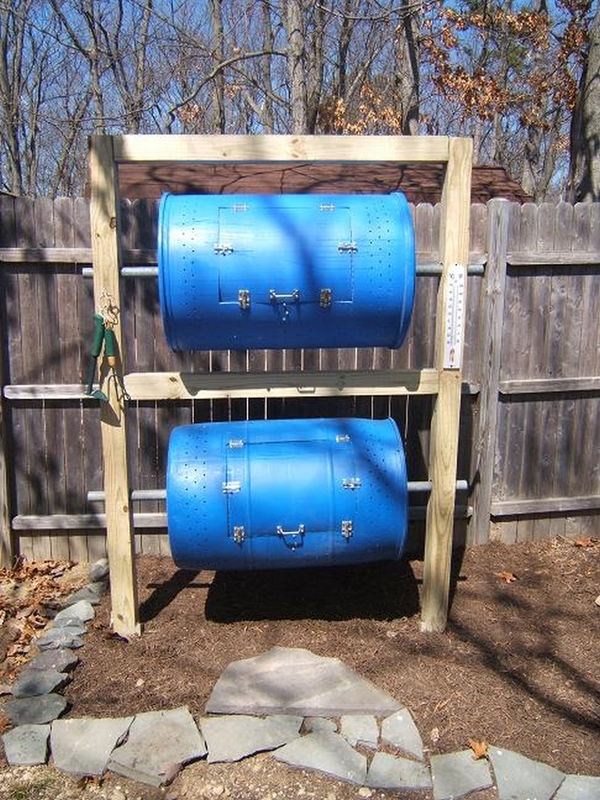 This double-decker drum composter is sturdy, rodent- and rot free container for all your compost. And it allows you to easily turn your compost which helps it breakdown faster. The frame consists of 3 pressure treated 4×4’s and 1 pressure treated 1×4, all eight feet long. One 4×4 was cut exactly in half and the 1×4 was cut into quarters – they were to become the 2 beams and 4 stakes.